Strategic ERP for Real Estate is its flagship product running successfully across various clients in the Real Estate Vertical. Strategic ERP is a sophisticated and robust accounting and operation management system for small and midsized real Estate businesses. 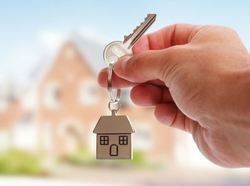 We have developed real estate management software. 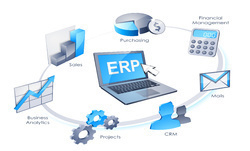 We are offering the premium quality Real Estate ERP Software Service to our valuable clients. This software is developed for real state companies to help them achieve their objectives by efficiently managing business in a more systematic and disciplined way. ‘Highrise’, India’s first Construction ERP with over 600 installations, tackles all aspects of the construction industry wrt tendering, estimation, planning, site, purchase, contracting, CRM & financial accounts. T3 CRM for Real Estate & Construction is very rich in functionality and is an industry specific product. The build in process at each level of modules makes it very easy for the user to move to the next level of cycle in a much easy way. Xira ERP is a complete ERP Solution designed to meet the ever-growing demands of real estate industry. It is highly useful for real estate management software for real estate developers, builders, contractors, and infrastructure developers.